Having just marked four decades of engaging the community with exhibits and educational opportunities, Sonoma State University’s University Art Gallery continues to act as a vital resource and cultural center in the North Bay. This weekend, the gallery hosts another exciting evening of art, food, wine and music at it's 35th annual Art from the Heart benefit auction. One of the oldest continually-held fundraising events in the area and an essential evening for novice and seasoned art collectors alike, Art from the Heart is highlighted by a silent auction featuring modestly-priced original works by more than 160 artists, as well as a performance by Dave Getz and delectable bites and beverages on hand. 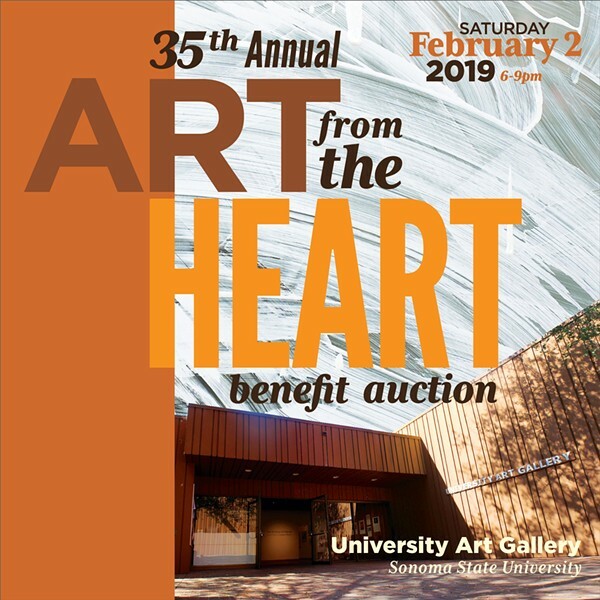 Fall in love at Art from the Heart 2019 on Saturday, Feb. 2, at the University Art Gallery, Sonoma State, 1801 East Cotati Ave., Rohnert Park. 6pm to 9pm. $25 suggested donation. 707.664.2295.